BakerRipley recently hosted international visitors at our neighborhood center in Gulfton. 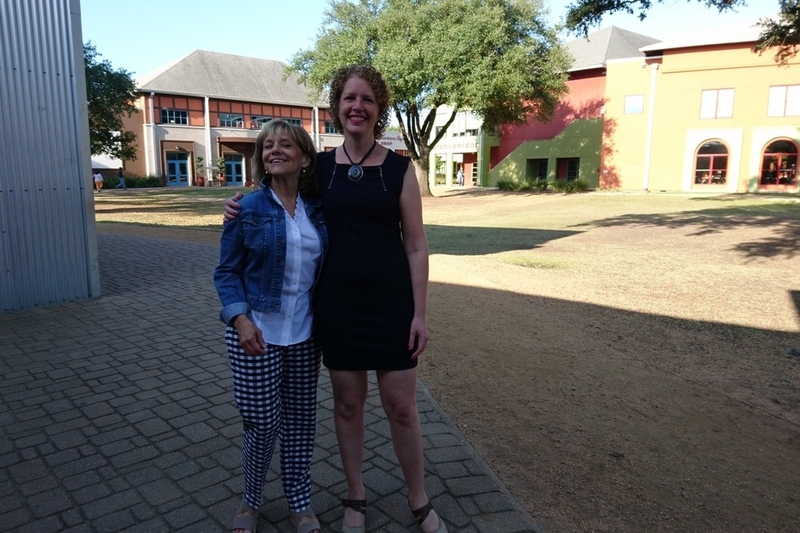 We asked one of our guests, Petra van Leeuwen, an advisor and trainer at Movisie, the Netherlands Centre for Social Development, to share some thoughts on her experience in Houston. When I told my friends in the Netherlands that I was going to visit Houston, they told me that the people in the South were warm and friendly, so my expectations were set. I was looking forward to seeing Angela Blanchard again, whom I met at the World Appreciative Inquiry Conference in 2015. The conference attracts people that are ambitious – some call it crazy – like me who fight for a better world in a positive way. Angela shared stories of using Appreciative Inquiry to identify and build on community strengths and aspirations for the creation of the Baker-Ripley Neighborhood Center in Gulfton. So I was excited to see it for myself. I was at the center for a board meeting of the International Federation of Settlements and Neighborhood Centers (IFS) – a network of organizations working to strengthen communities around the world. From the first moment I stepped out of the car, it felt like coming home. 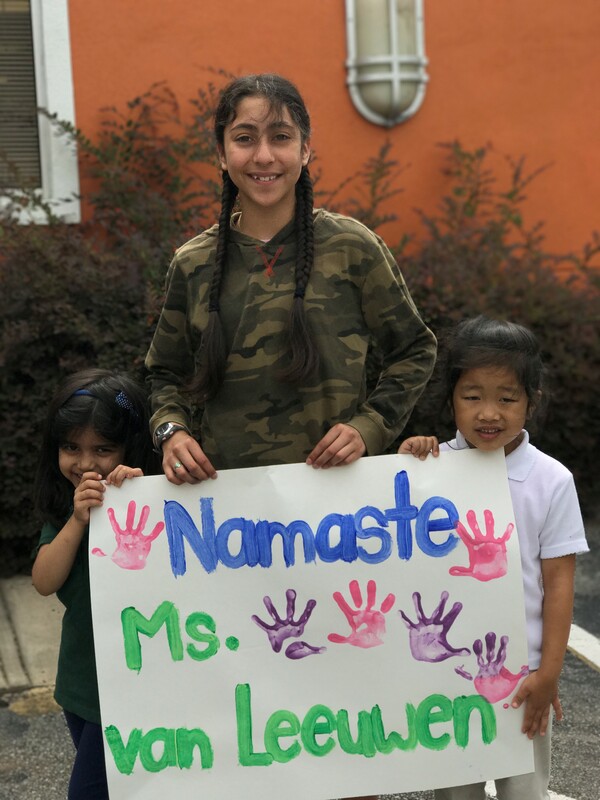 Students at the New Neighbor School decorated a sign for each board member, welcoming us in their own language. Mine saying Namaste and on the picture I saw three beautiful young girls. I wondered what is their story? Walking around, I could SEE, HEAR and FEEL the warm welcome the center creates, welcoming over 90 different nationalities. I could SEE it in the open spaces, vibrant colors, brilliant art, strengths-based posters and interesting classes. 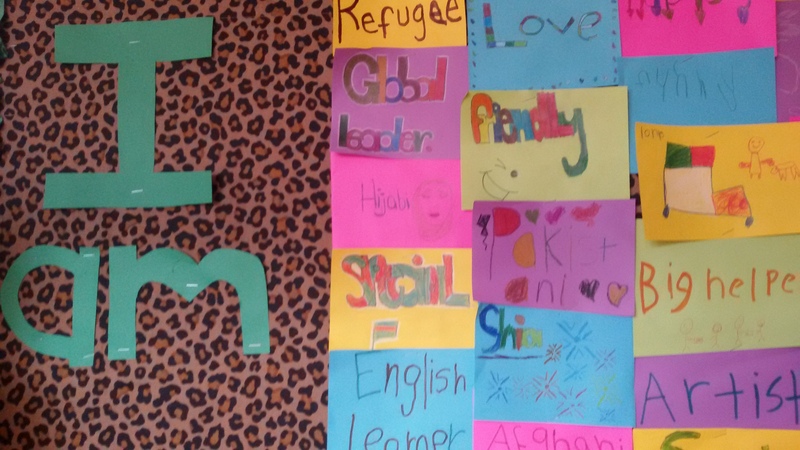 Walls filled with I AM posters of the kids, expressing what they were proud of: love, refugee, global leader, Syrian…wonderful. I could HEAR children playing, laughing, women dancing, exciting conversations everywhere and staff talking in an appreciative way. Language chosen carefully and creating hope for the future; building on proudly presented or well-discovered strengths. Because ‘change begins with the first new question’ the team explains. Questions being asked about dreams, strengths, in what way new neighbors would like to contribute to the society. I could HEAR 5th graders sharing their presentations on their country of origin that helped me learn a little bit more about Congo and Lebanon. I could FEEL the genuine love and respect for people. It was heartwarming. This space, vibrant and positive, is really a nourishing place. BakerRipley is close to my heart now. For me personally, it was mind blowing to see a place where an appreciative way of working has become real. Where I could witness what it means to create a warm welcome. As a trainer and consultant, strengths based social work is what I believe in and where my passion and ambition for the Netherlands is. BakerRipley felt like a dream come true. I took back extra motivation to my home country to create warmer, welcoming BakerRipley experiences in our cities, too. I am thankful I had to chance to see, hear and feel it myself!